Duncraig Medical Center, Perth, WA. Duncraig Medical Centre is situated in a northern suburb in the sunny city of Perth, capital of Western Australia. Regen Power was approached by the medical centre to perform an energy reduction review and to highlight the costs and benefits associated with investing on a rooftop solar power electricity generation system. The medical centre is open for 7 days a week and thus ideally suited for rooftop solar photovoltaic power generation. 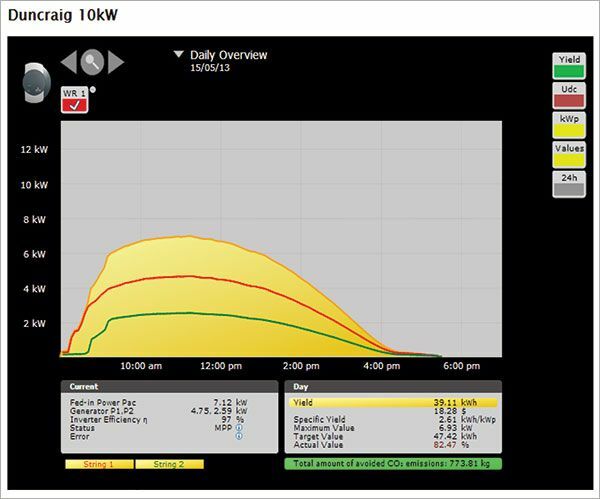 Prior to the installation of the solar power system, Regen monitored the energy consumption for a couple of weeks. Power consumption during a typical Sunday and Monday in the summer month of February is shown in Fig. The major load in the premises during summer is air-conditioning which coincides with the sunshine hours. After consultation with the management and assessing the roof space available , it was decided to install a 10kW Solar PV system which has the potential of generating about 45kWh (or units) per day. It was estimated that the solar power generation would offset approximately 30% of Duncraig Medical centre's annual electricity consumption with a simple payback period of 3.5 years. The project demonstrated substantial savings in electricity bill in the first 60 days of the operation. 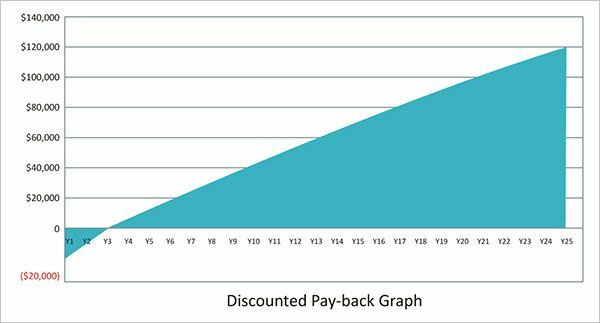 Based on an average of 45 units of power generated per day for a 10kW system, and factoring in various other parameters the system has a rapid return on investment of 3.6 years.